We were back from our great trip to the Baltic in the fall. In the pile of mail that had accumulated, I found a jury notice. So until that got resolved, we were grounded in Toronto for a few months. But that didn’t mean we couldn’t take small trips! We had wanted to visit Chicago for some time. A quick review of flight options and costs convinced us to drive. It was about an 8 hour trip with stops along the way. We left before sunrise and headed out for 3 days in Chicago over Halloween. 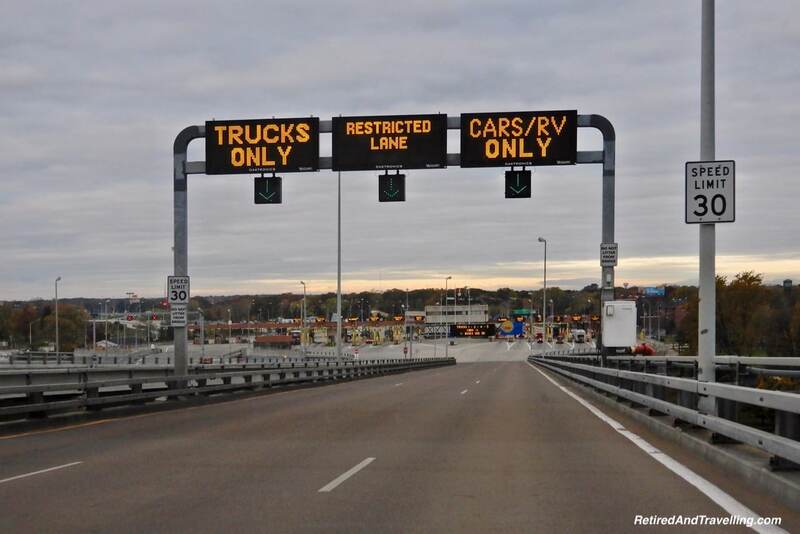 The route to the border crossing in Sarnia, Ontario to Port Huron, Michigan was fast on a Sunday morning. 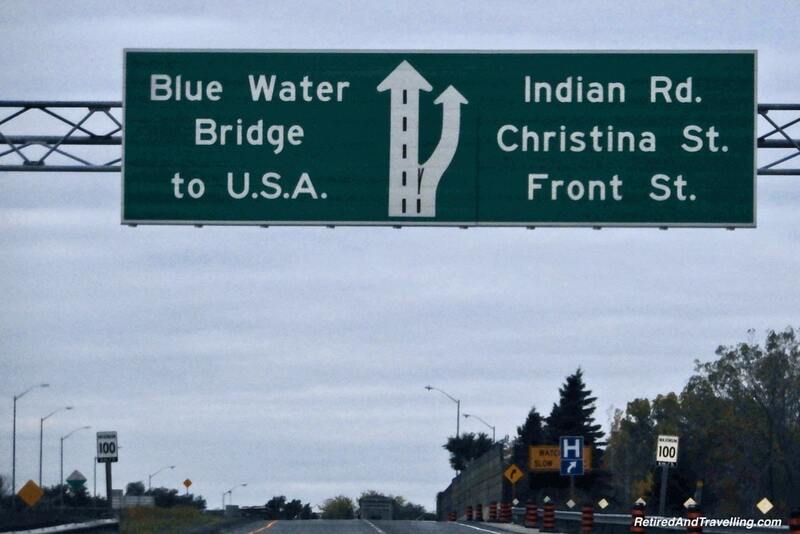 When we crossed both ways at the border, we were the second car in line. We crossed the river and were on our way. In late October, we didn’t yet have to worry about snow on the roads. 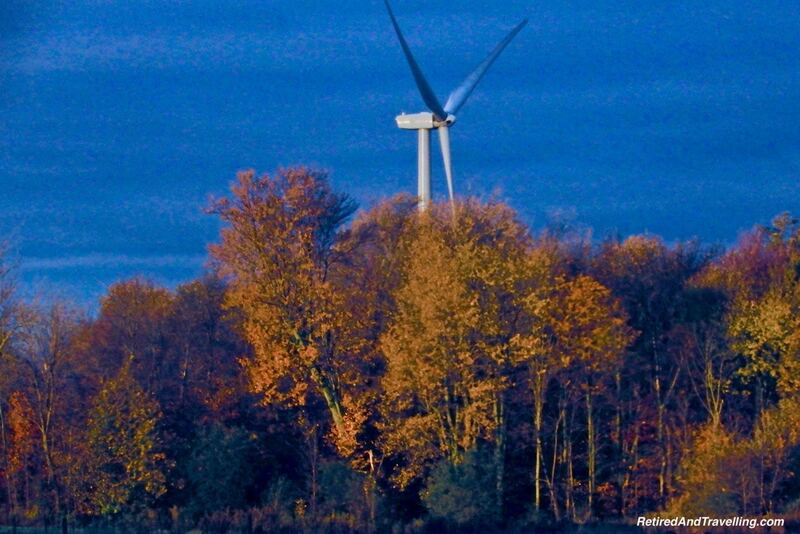 We even caught a little of the last of the fall colours. We avoided driving in or around Detroit. It was a slight bit longer route but we figured it was less prone to delays. As we had found on our last big road trip, gas prices were still much cheaper in the U.S. We took advantage and filled up the car often. It was an easy drive until almost in Chicago. We stopped a few times for breaks and coffee but wanted to have lunch before we hit Chicago. There were lots of fast food stops but we kept looking for a quaint small town. 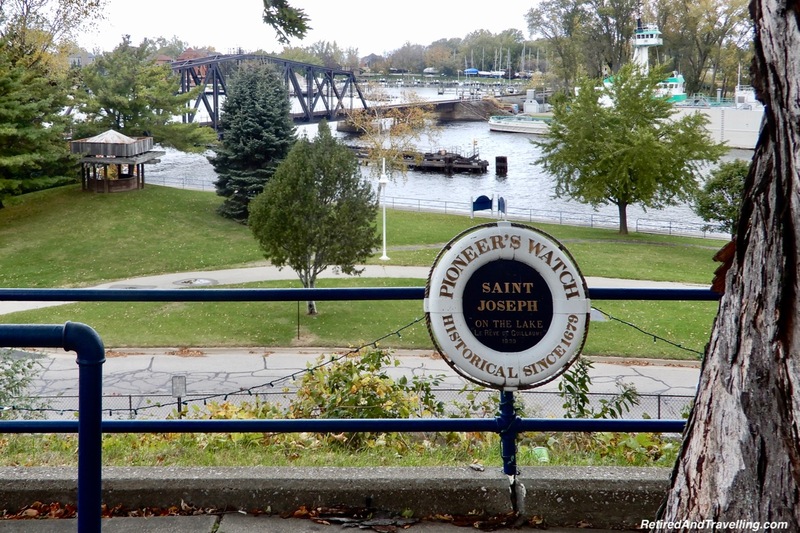 We exited the highway before we left Michigan and headed towards the town of St. Joseph. A short drive around town convinced us that this would be the perfect spot for lunch. 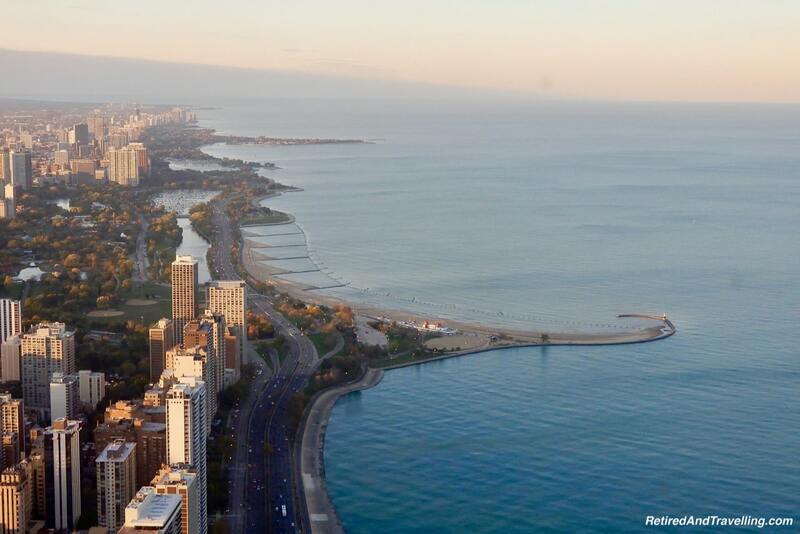 Grass paths ran along the water of Lake Michigan and several statues were silhouetted by the changing colours. It was Sunday and we found many places closed. I just could not find the main street cafe that I had pictured. We settled for a less than savoury sandwich and got back in the car. But then we found the first of many chocolate treats we would have on our food trip to Chicago. We re-parked the car and had a great snack before we finished the drive to Chicago. 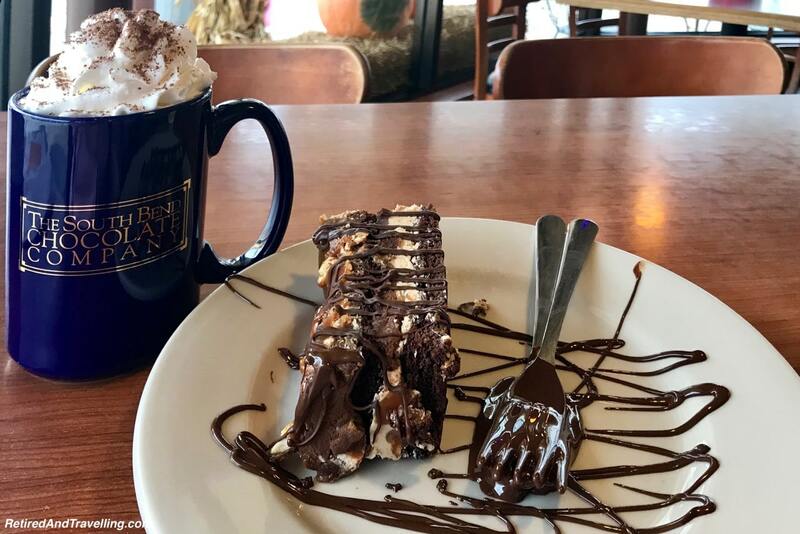 The Chocolate Cafe had a great selection of chocolate, candy and desserts. Construction zones got clogged as we got into Illinois but the toll road closer to Chicago was clear. 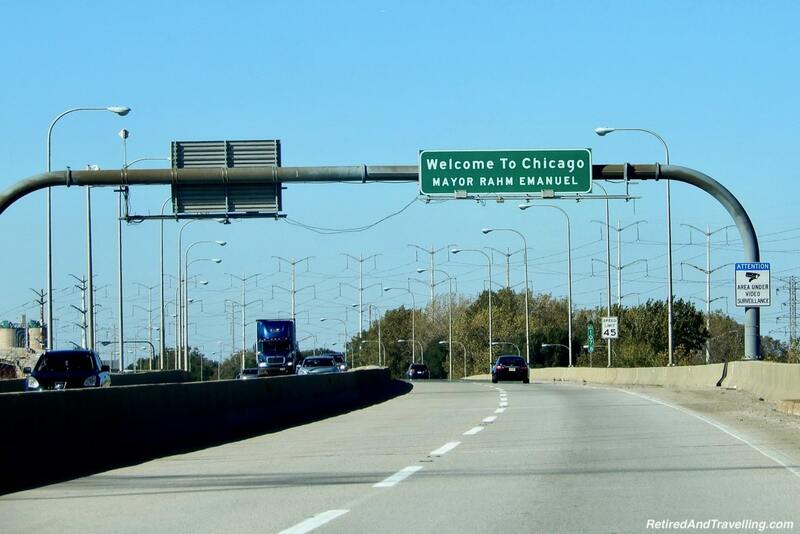 As we passed the “Welcome To Chicago” sign, we knew we were close. The GPS got us right to the Intercontinental Chicago Magnificent Mile Hotel. The only downside of driving to Chicago was the very high cost of parking in downtown Chicago. We ultimately just bit the bullet and parked the car at the hotel. As Spire Elite Ambassador reward club members, we contacted the hotel in advance and everything was ready when we arrived. Throughout our stay, the attention to detail and proactive follow up from all hotel staff was excellent. This level of great customer service is one of the reasons we continue to choose Intercontinental Hotel properties when we travel. Our upgraded suite gave us lots of room to spread out. A large plate of fresh fruit was sitting on the desk when we arrived. 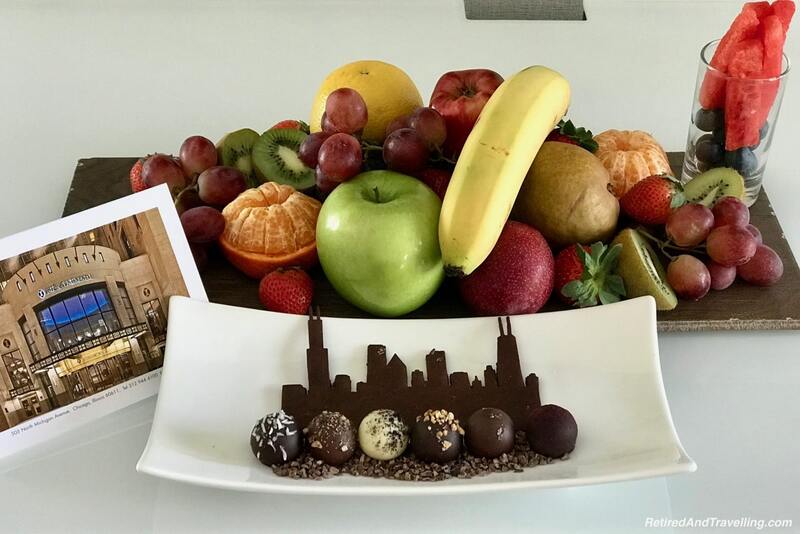 It included an interesting chocolate silhouette of the Chicago skyline. Nightly turn down service brought us yet more chocolate. 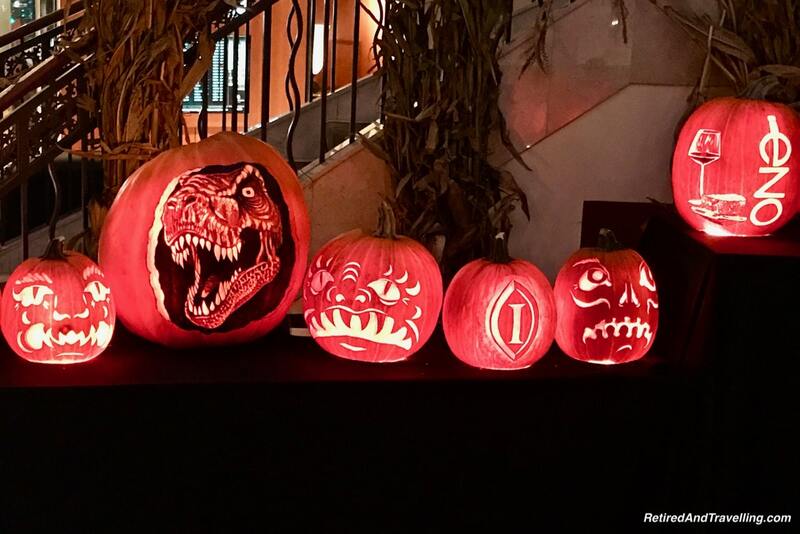 It was Halloween when we visited Chicago for 3 days. The Intercontinental Chicago was fully in the holiday spirit. 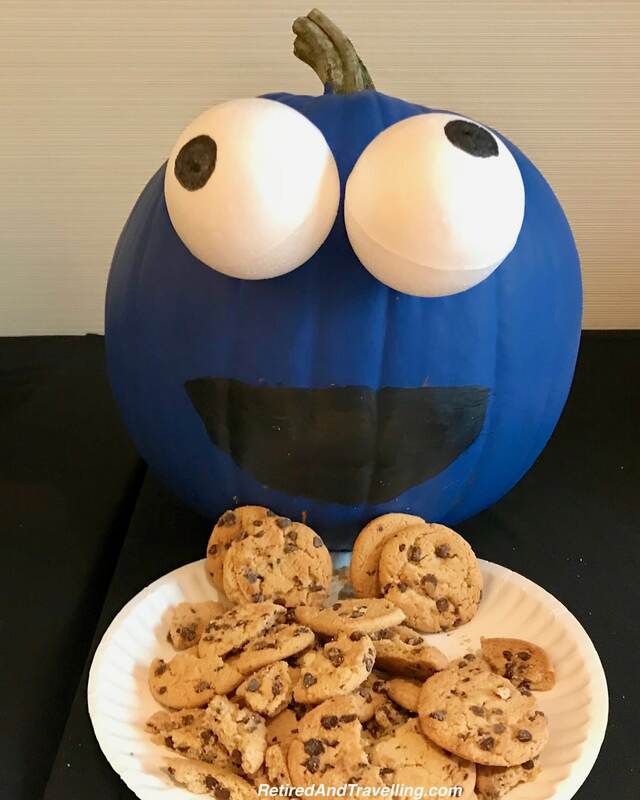 Pumpkins decorated the lobby. 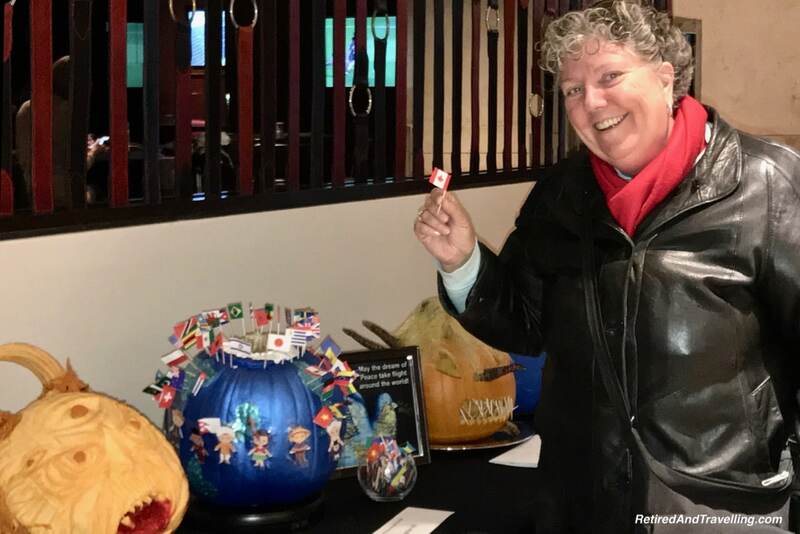 The staff competed in a pumpkin carving contest and the guests voted for their favourites. On Halloween Day, the staff even dressed up. Some of the costumes were great! We had originally planned to go out to the suburbs for a Halloween Night parade, but we never did make it. 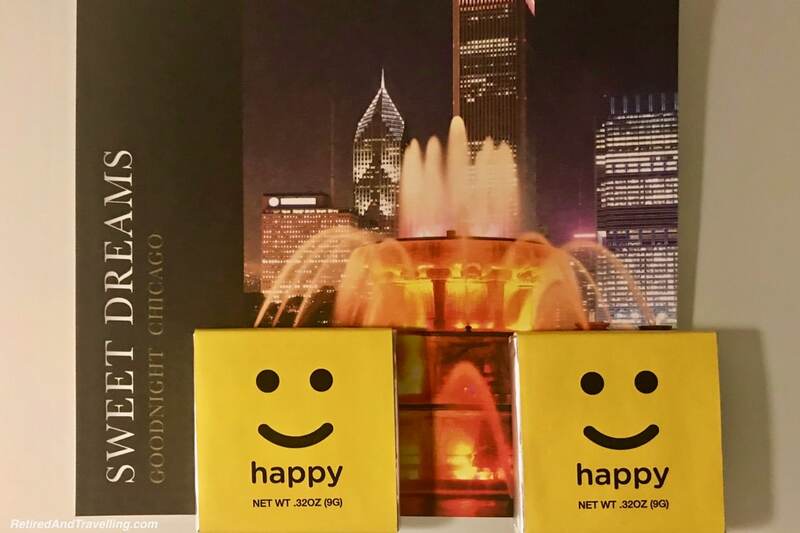 The team spirit we saw at the Intercontinental Chicago was delightful to see. It started at the top and was echoed in all the staff we met. 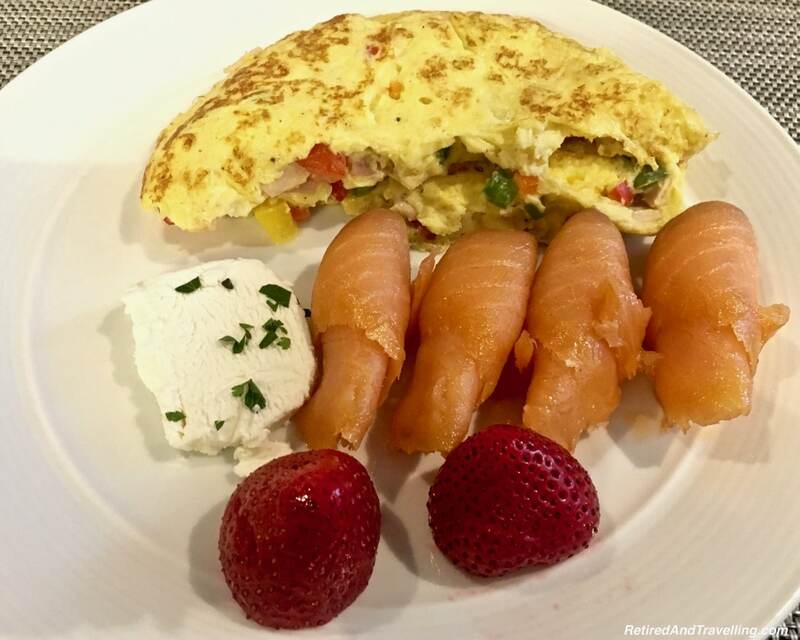 The Intercontinental Chicago was an excellent choice for accommodations and food. But it also offered another treat. We explored the hotel inside and outside. 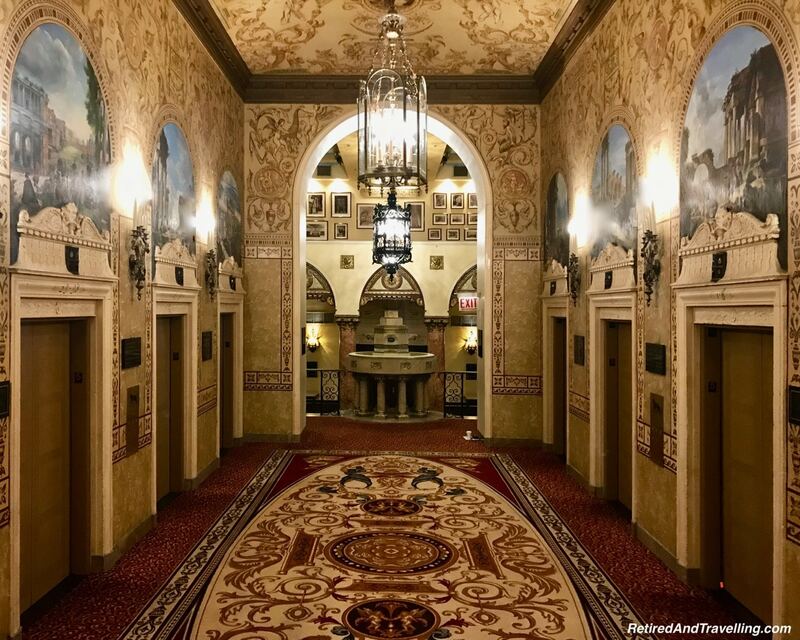 The beautiful history of the Medinah Athletic Club has been restored throughout the older tower of the hotel. A tour with the GM Ronald Hoogerbrugge provided us with an inside view. And a trip up to the roof and the decorative dirigible docking dome. 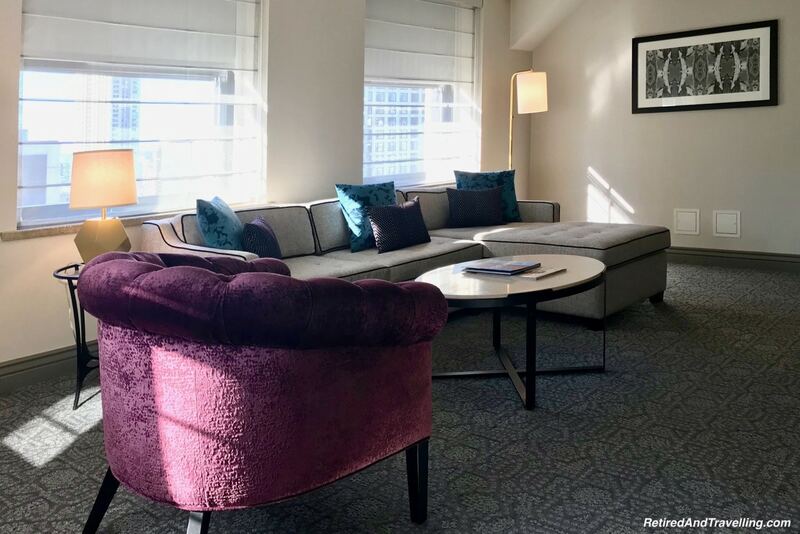 A luxury stay at the Intercontinental Chicago was a great way to be pampered for 3 days in Chicago! The hotel breakfasts exceeded our expectations. The selection was broad and varied daily. 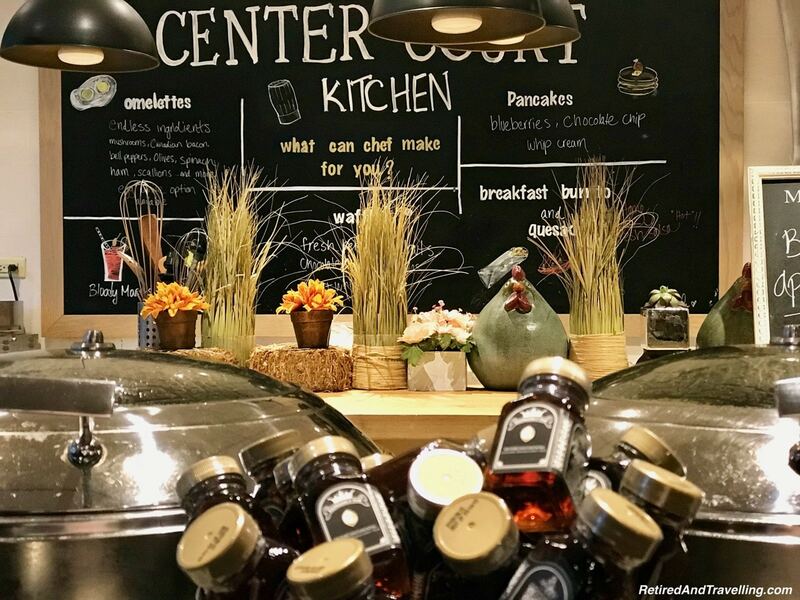 A chef was available to supplement the hot buffet with a range of tasty breakfast treats. David was happy to see they served real maple syrup. 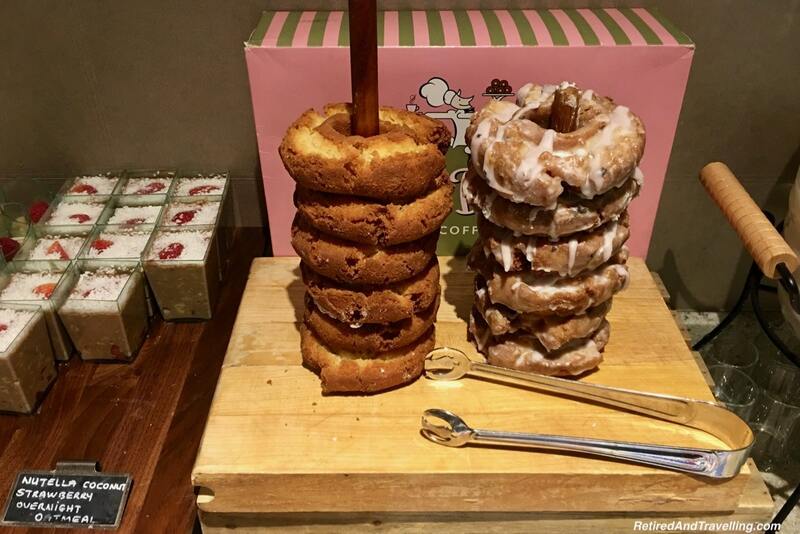 One morning we just had to try the fresh donuts. 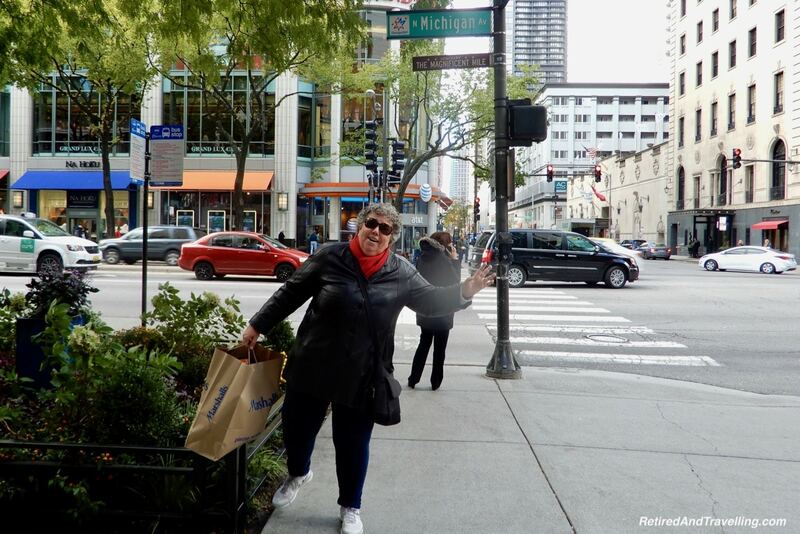 We found lots of great food to eat as we wandered in Chicago. 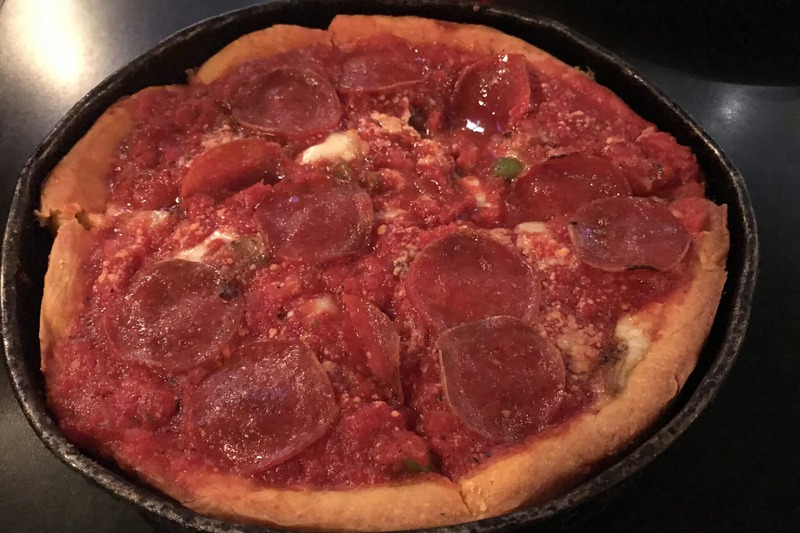 There were many choices for deep dish style pizza and we tried one in an interesting spot. 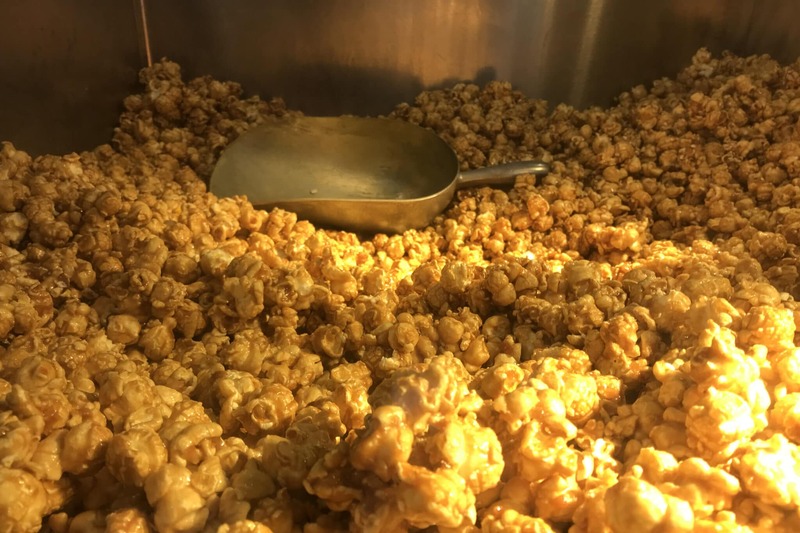 We snacked our way through chocolate and popcorn to give us energy as we walked for hours each day. On our last night in Chicago, we ate at the Michael Jordons Steak House in the hotel. 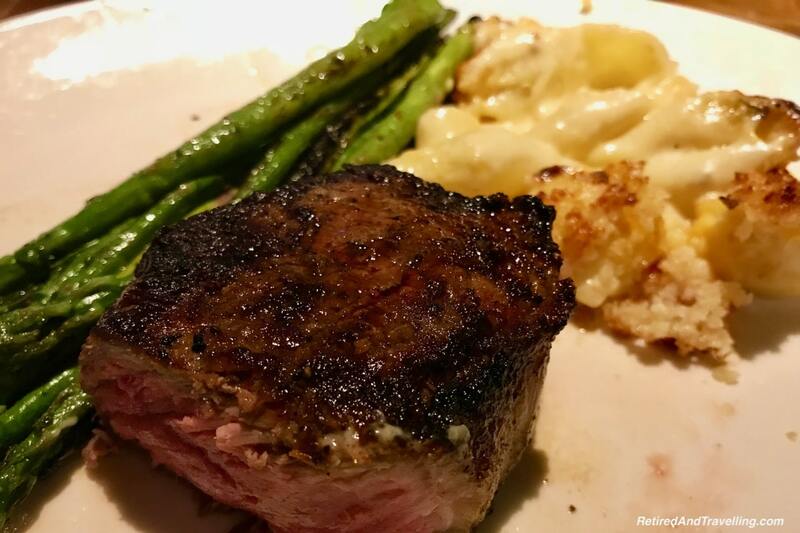 The food and customer service lived up to the high quality we had come to expect from the Intercontinental Chicago Hotel. The John Hancock Tower was a short walk from our hotel. 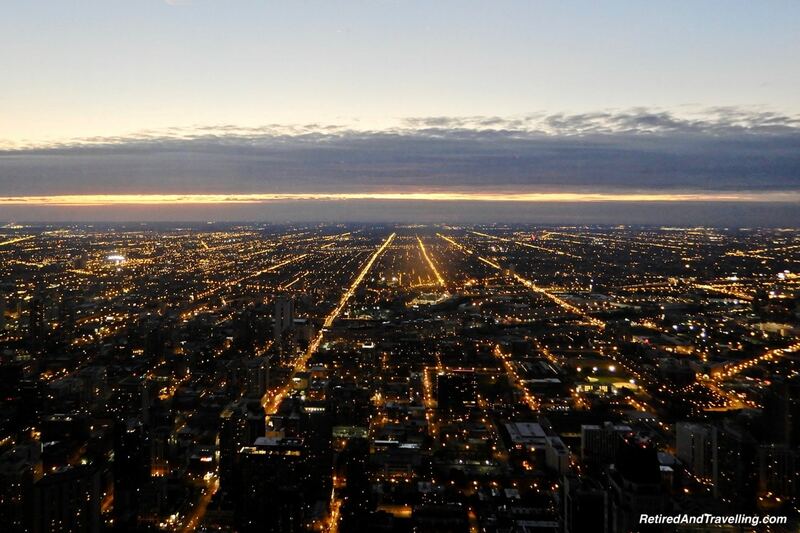 We headed up high for a panoramic view of Chicago. There were several levels where we could get a view. 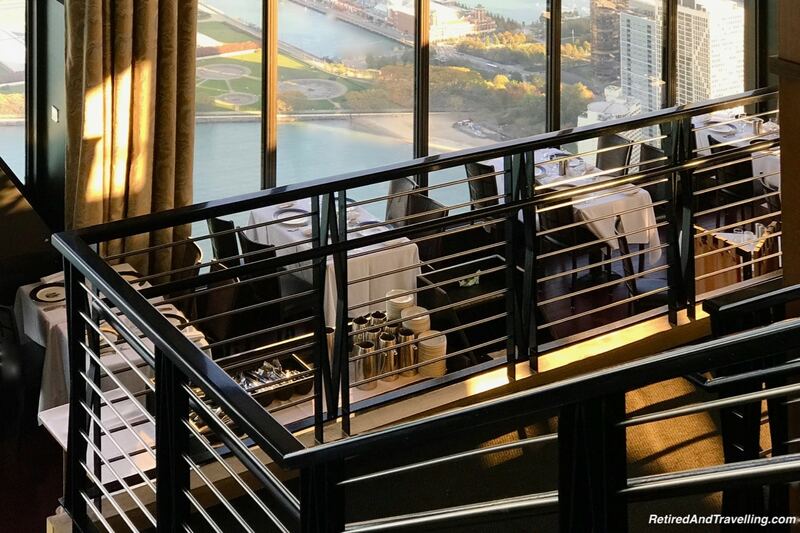 We decided to go to the Signature Lounge on the 96th floor that overlooked the restaurant rather than the observation deck one floor below. This meant we missed the new TILT ride that lets you lie on a glass floor out at an angle from the building. After a short wait, we got a window seat and settled in. Our seats looked south over the city. We wandered to the other windows for a full 360º view. From this perspective we got our first view of the eclectic architecture of Chicago. We ordered a drink and a snack and watched the show unfold for us. It was full daylight when we arrived. We watched the sun set and then the lights started to twinkle on. 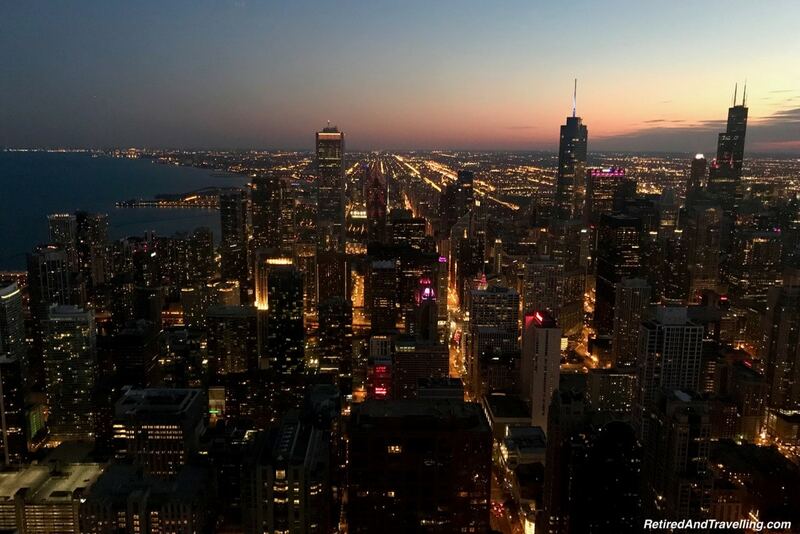 A panoramic view of the city was the perfect way to start 3 days in Chicago! 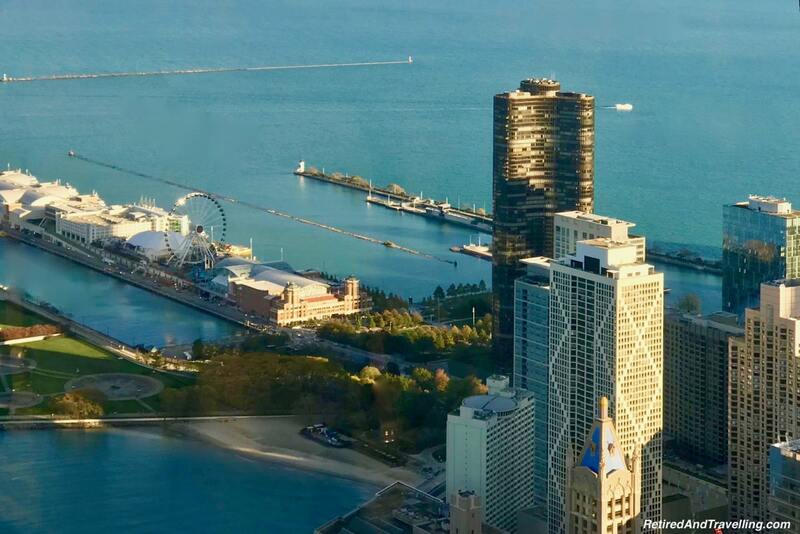 When we were high in the John Hancock Tower, we got our first view of the Navy Pier and the ferry wheel. One blustery day we set out to walk to the pier. Our first stop was the Ohio Street Beach. 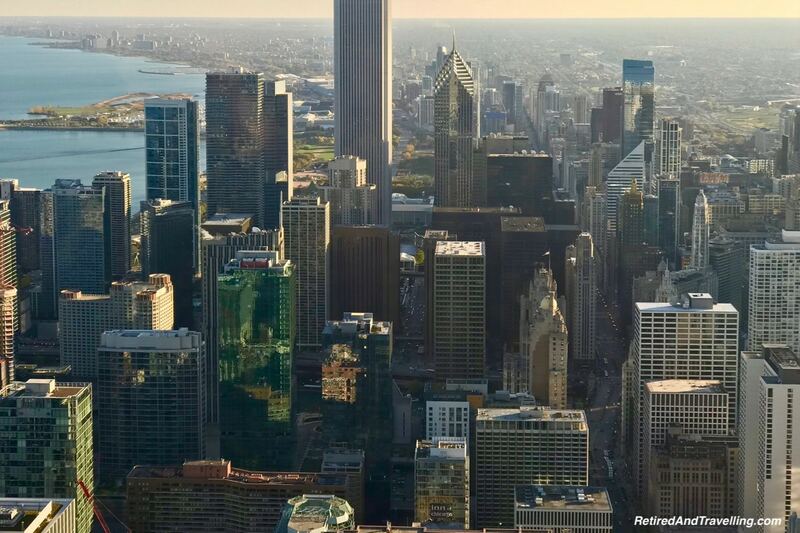 From there we got another great view of the eclectic architecture and skyline of Chicago. We walked around inside the Navy Pier building. There were dozens of places to eat and exhibits to look at. Many were great kid things to do. Along the outside we saw the array of tour ships operated from the pier. Most of these were not running mid-week at the end of October. 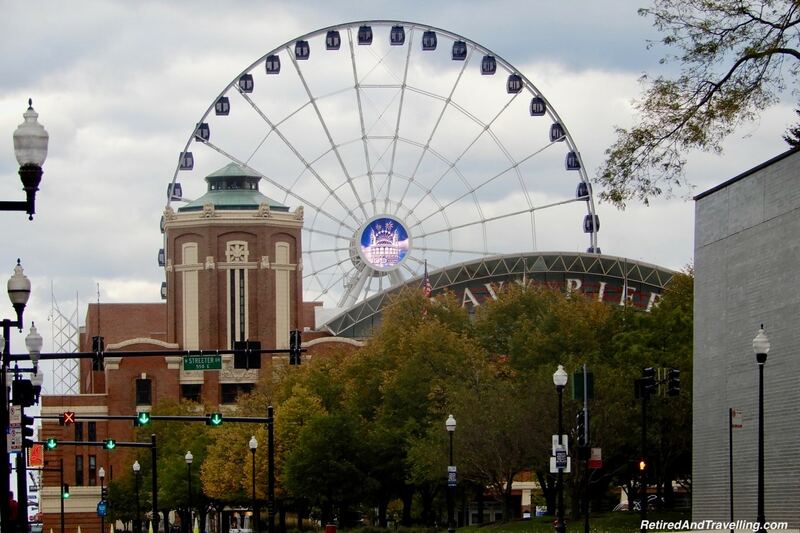 When we headed back outside we approached the ferris wheel. It turned slowly. From the water level we had a view of the Chicago skyline. 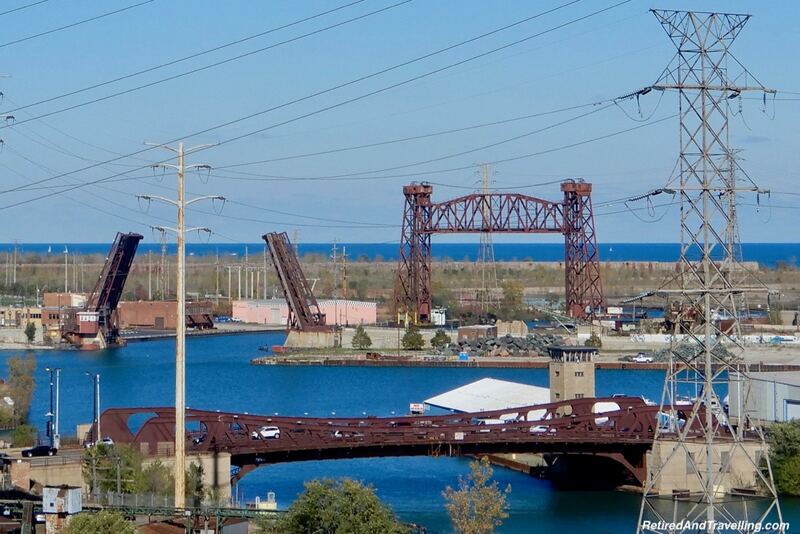 We imagined the ferris wheel would be a spot to get a great panoramic view of the interesting skyline of Chicago. 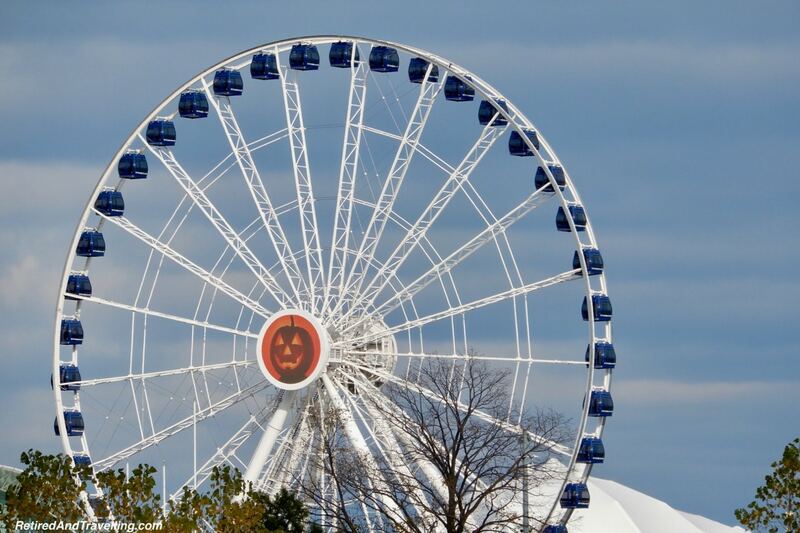 When we saw the ferris wheel on Halloween, even it was decorated for the holiday! 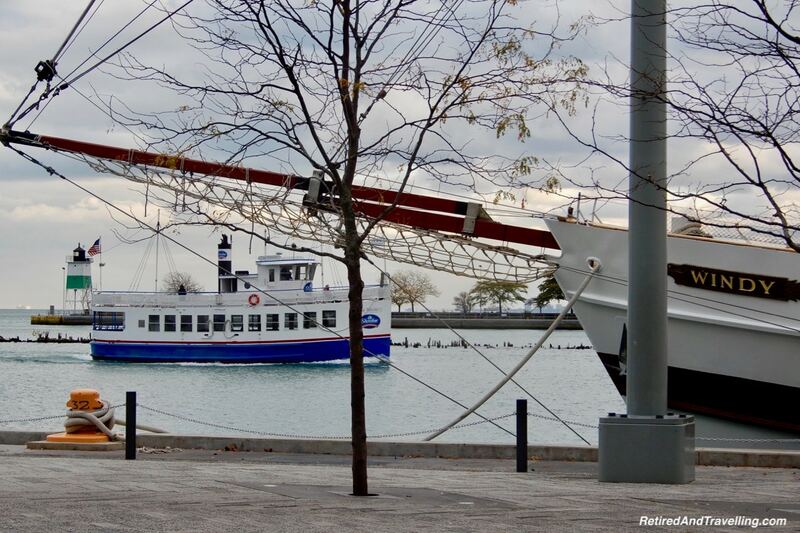 There are many ways to get to Navy Pier. There is a shuttle from the Miracle Mile, lots of parking if you drive and several water taxis. 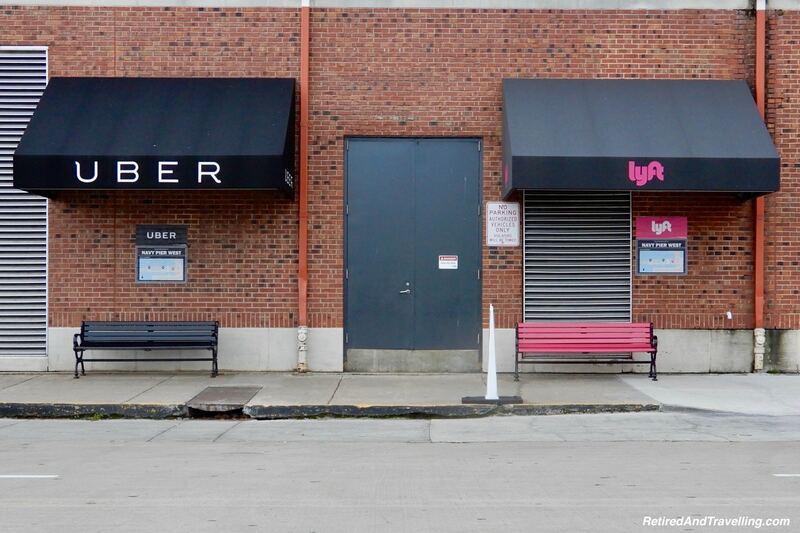 We even saw pickup spots for both Uber and Lyft. We just keep walking. After all, we needed to walk off the great food we ate in Chicago! 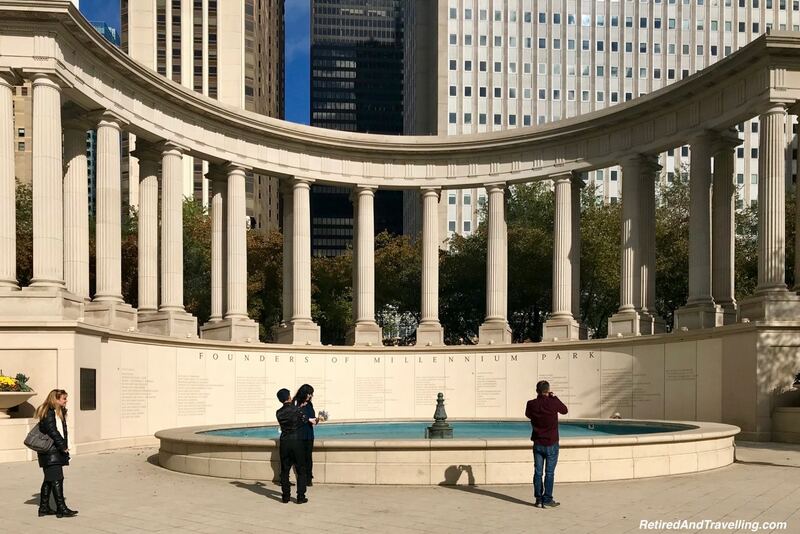 No visit to Chicago is complete without a stroll through Millennium Park. There is much to see in every direction. 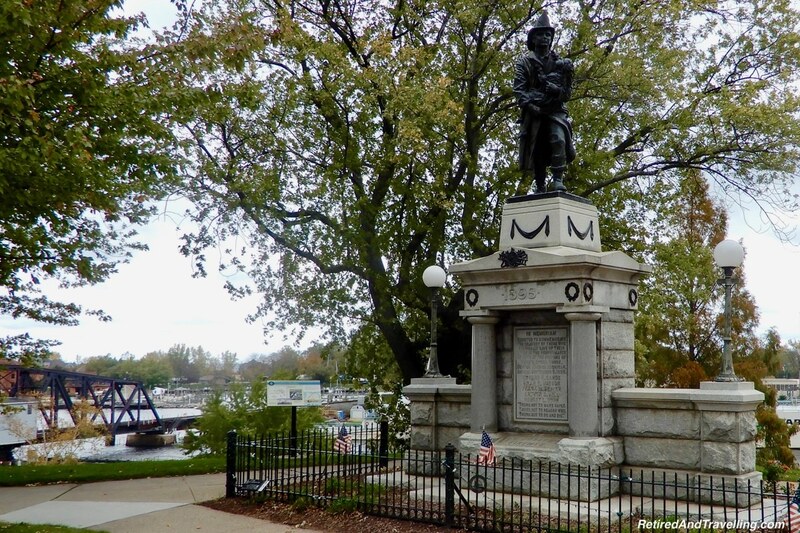 The Millennium Monument was the first stop. From there we could see the Jay Pritzker Pavillion designed by Frank Gehry. When we walked in that direction we got a view of the massive outdoor concert venue. At the other end of the park we stopped at the Crowne Fountain. 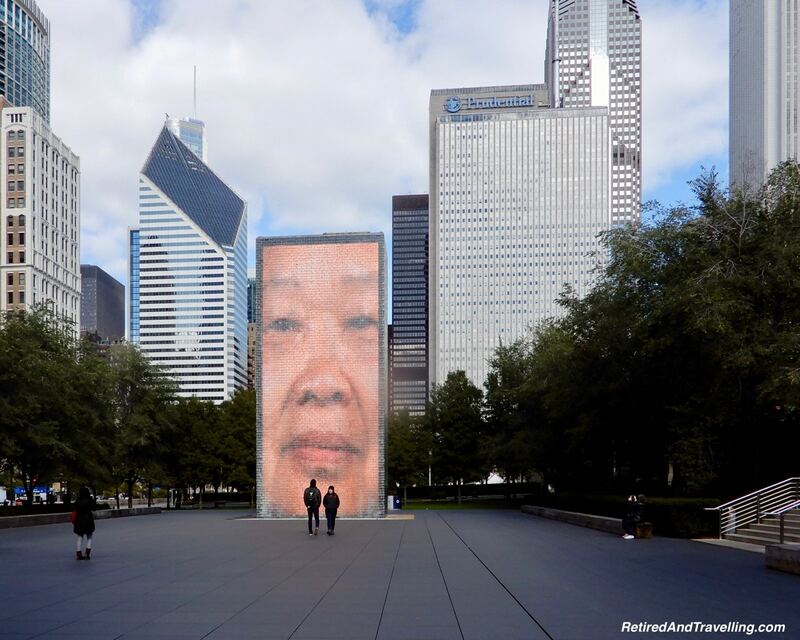 While the water was turned off, we still caught the “Faces of Chicago” in the massive reflective surface. 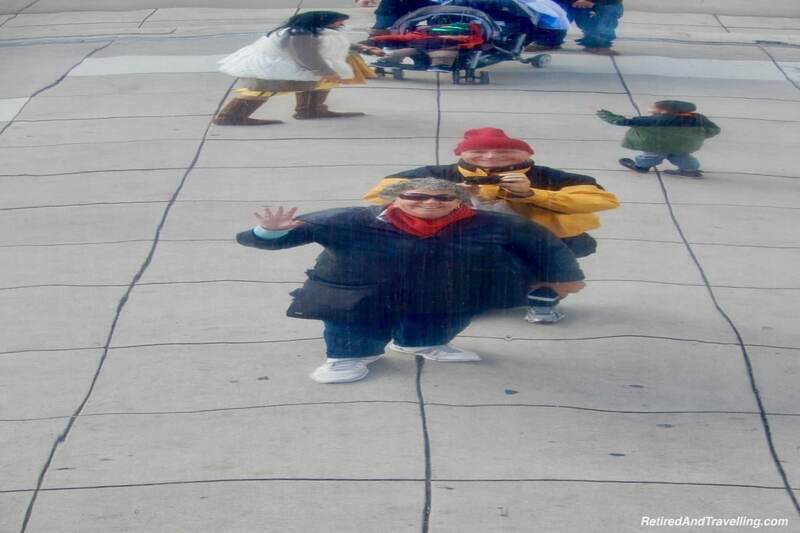 We spent quite a while walking around the Chicago “Bean” or Cloud Gate statue. In every direction we got an interesting reflection of the city behind us. As the clouds moved, the reflections changed. Of course, we couldn’t help but get a selfie or two with all the other tourists. It was a great day to walk around Millennium Park. 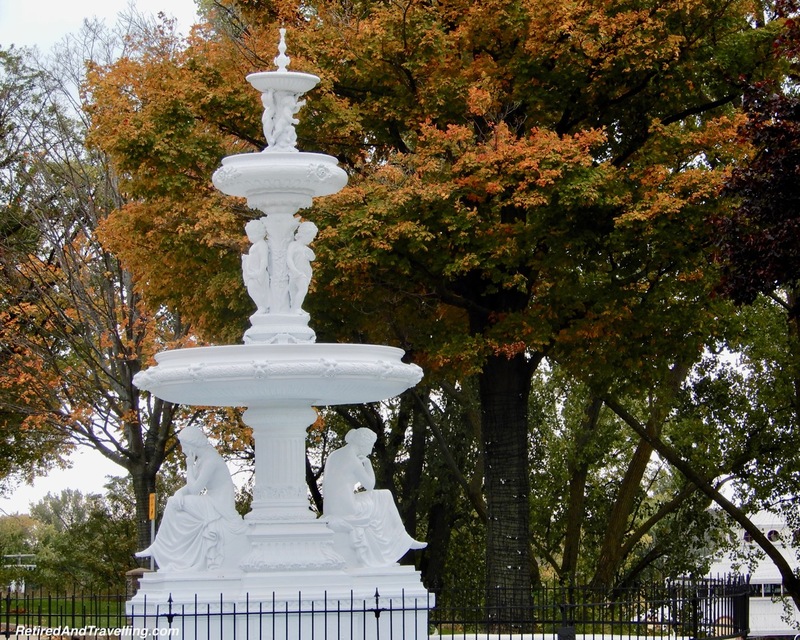 The fall colours were brilliant and added a special element to the park. We were so glad we made it to Millennium Park and the Bean on our 3 days in Chicago. After we visited Millennium Park, there was one more spot we needed to see in that part of town. 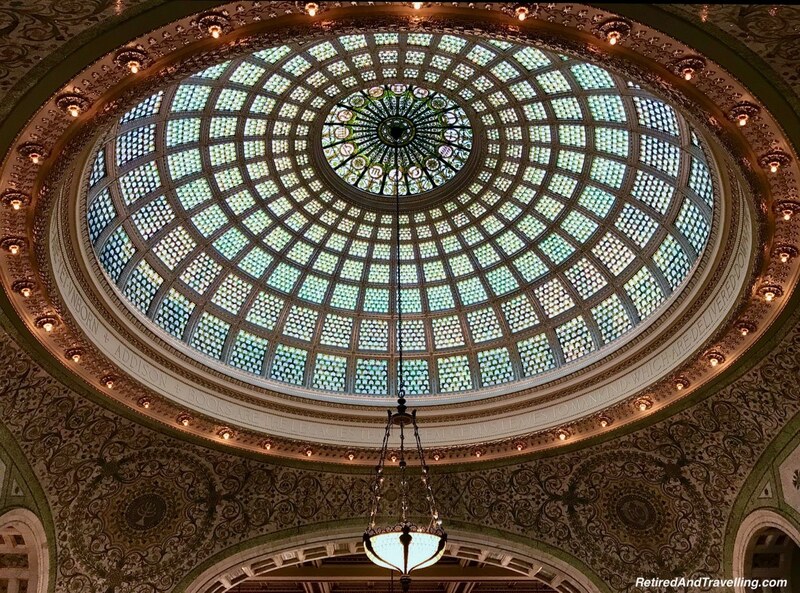 We did not want to miss the beautiful glass domes in the Chicago Cultural Centre. 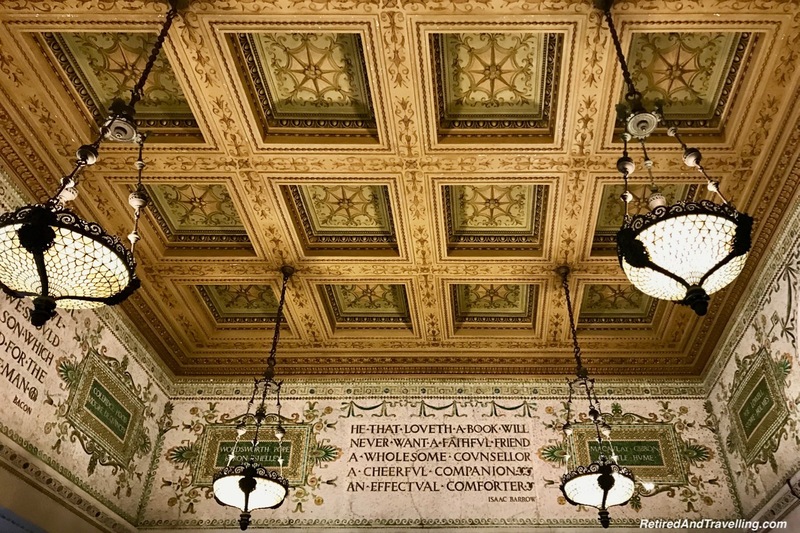 The Chicago Cultural Centre was completed in 1897 as Chicago’s first central public library. 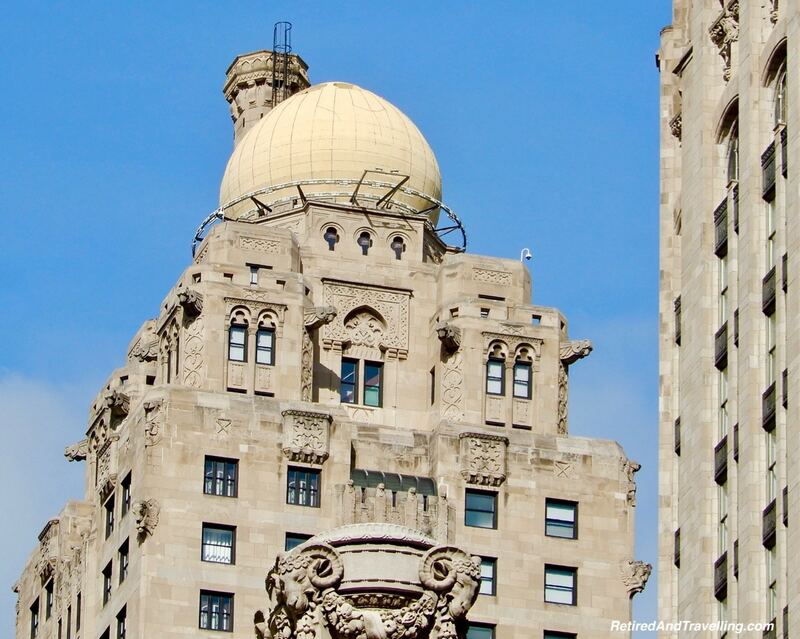 The building was designed with luxurious materials to show that Chicago was a sophisticated city. 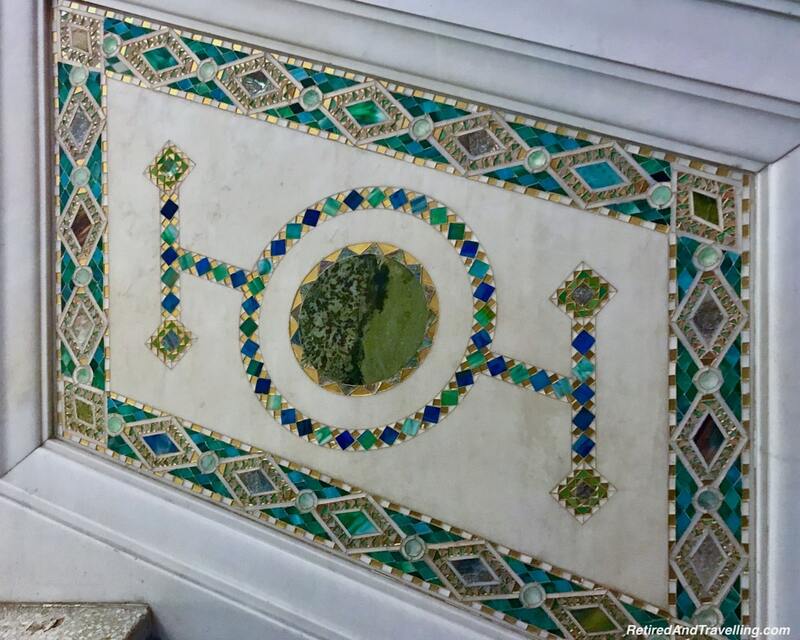 Rare imported marbles, polished brass, fine hardwoods, and mosaics of Favrile glass, mother-of-pearl and coloured stone were used to create an amazing showpiece. As soon as we entered, we knew we were in for a treat. 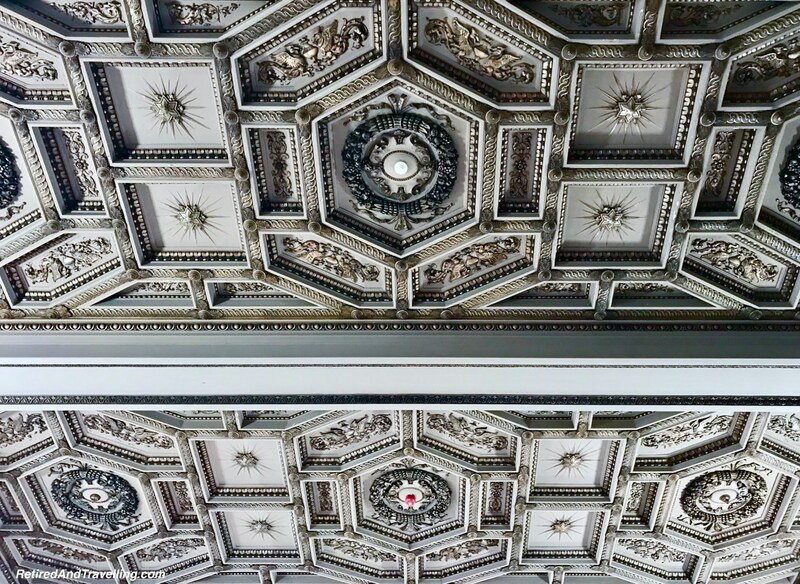 Walls and ceilings drew our attention. 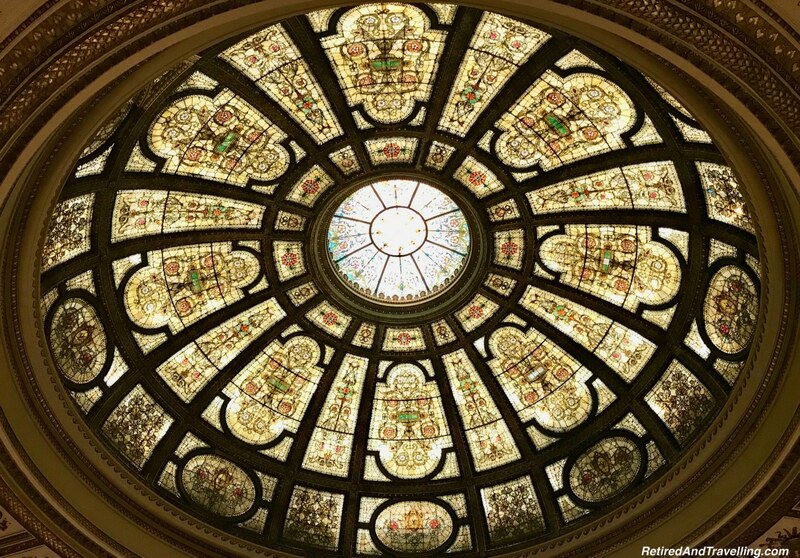 After we climbed the stairs, we walked into the Preston Bradley Room to stare at the world’s largest stained glass Tiffany dome. It is 38 feet in diameter and has about 30,000 pieces of glass. The rooms on either side continued the intricate design. 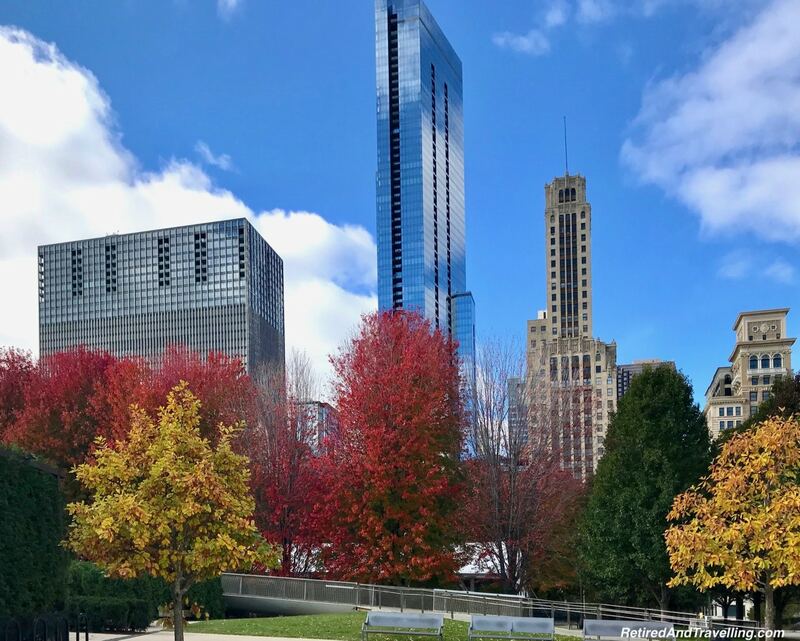 We looked out the window back at Millennium Park and the changing fall colours. We headed for the other side of the building. Another great dome awaited us. 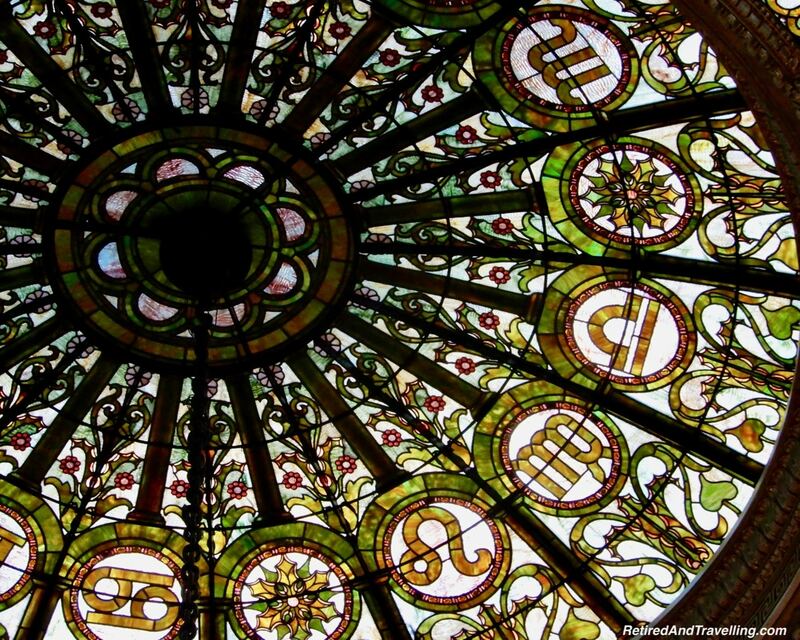 This dome was stained glass in an intricate Renaissance pattern. The rest of the room was designed to showcase the beautiful dome. This part of the building was dedicated to the Grand Army of the Republic. The walls around the room contained many historical documents. When we visited, the large open room was being used to highlight quite modern architectural designs. 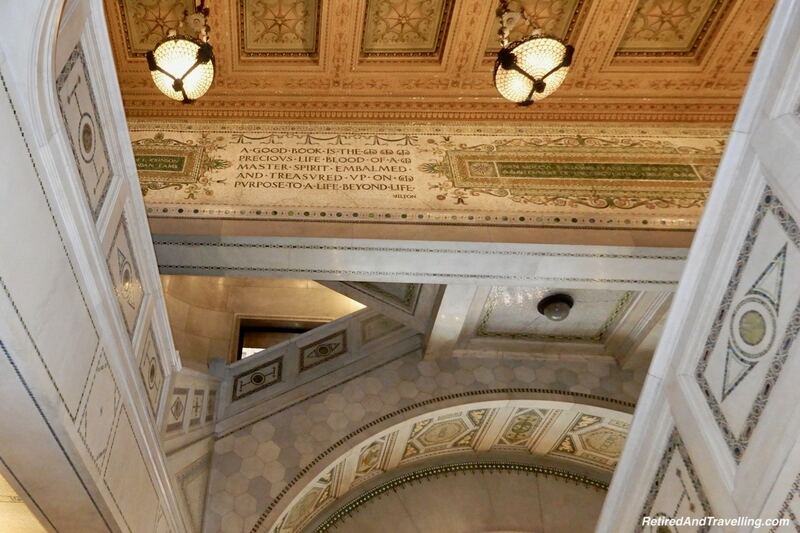 It seemed fitting that in this building of architectural delight, new thoughts on architecture would be tested. 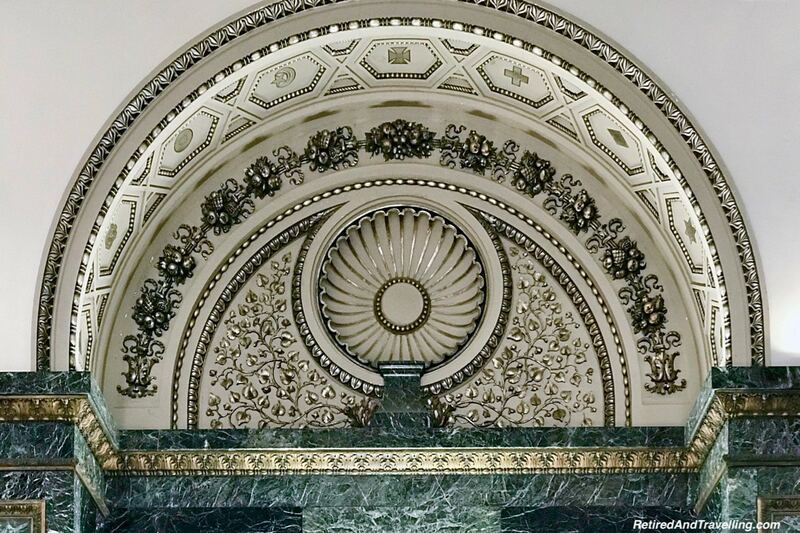 If you spend 3 days in Chicago, make sure to plan a visit to the Chicago Cultural Centre. It was not the top thing on most lists that people recommended. But it was a stunning find and deserves more time than we had by the time we finally stumbled in. 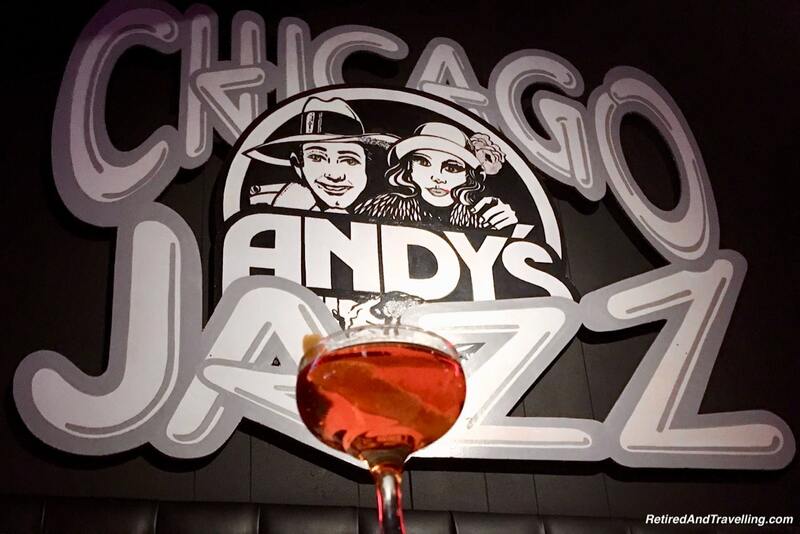 One of the recommendations we got for our 3 days in Chicago was to visit Andy’s Jazz Club. It was a short walk from our hotel. There was a live band every night with two early shows and two late shows. You can go for dinner and a show. 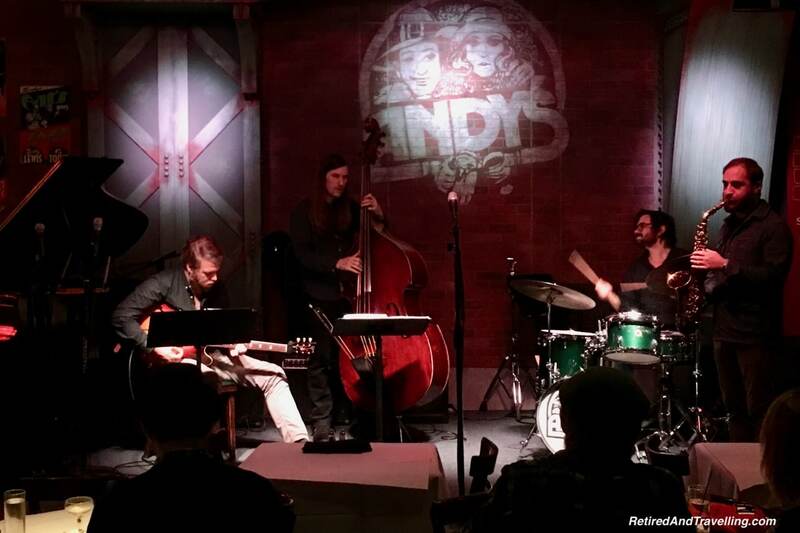 The night we visited the Meridian Trio played the two early sets. There was a good range of jazz and lots of solo pieces. We enjoyed our drinks at our front row seat. 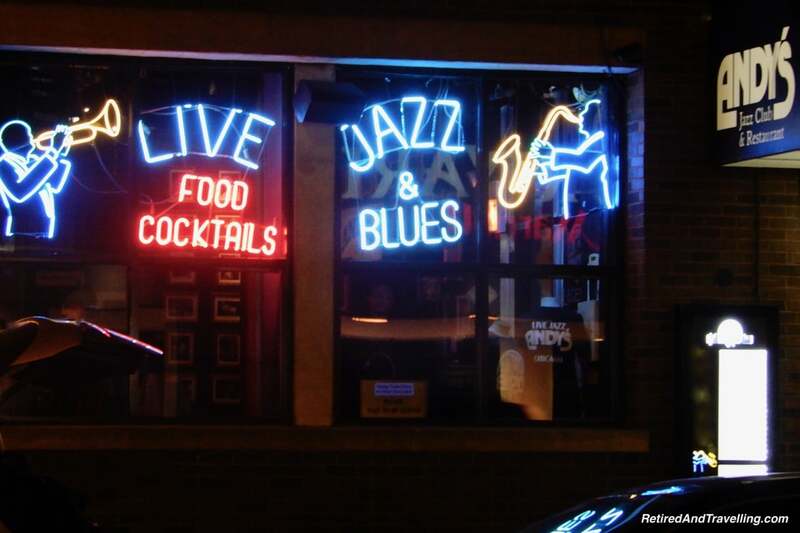 Live entertainment is one of the things to plan for 3 days in Chicago. 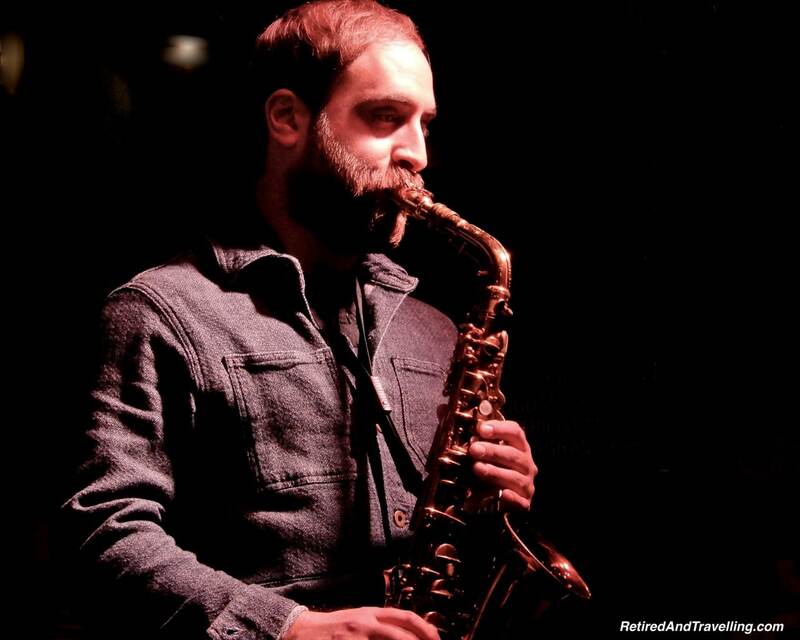 There are lots of live music venues. 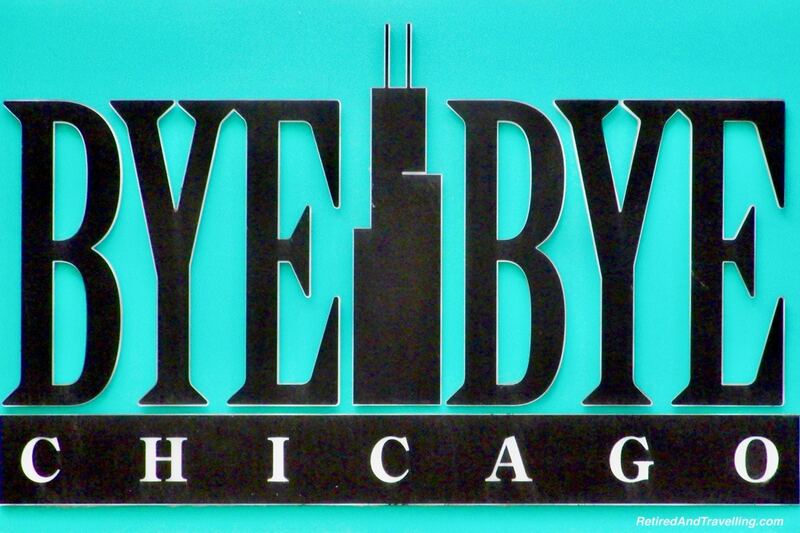 And of course, you could attend a Second City Live show. We ran out of nights and energy before we ran out of night entertainment options on this visit to Chicago. 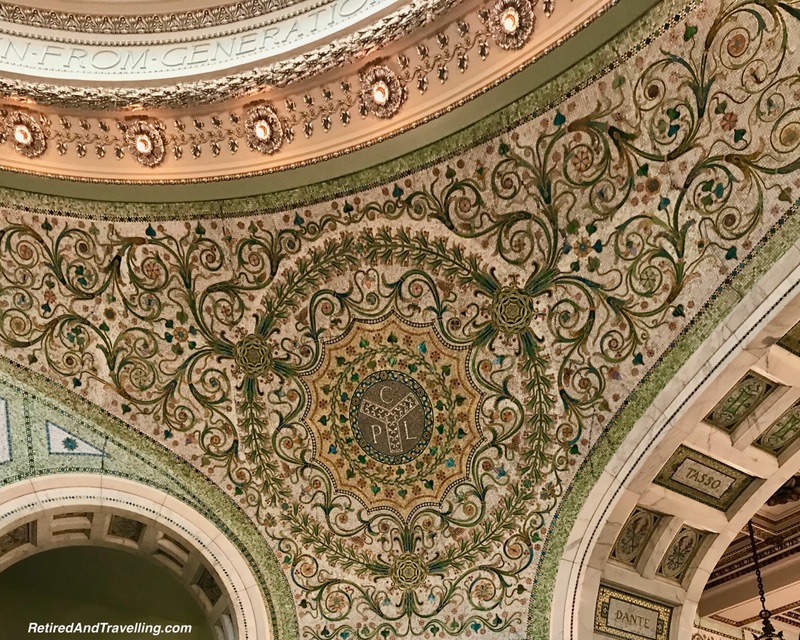 Our luxury stay at the historic Medinah Intercontinental Chicago was a great base as we explored the city. We saw so much on our 3 days in Chicago. 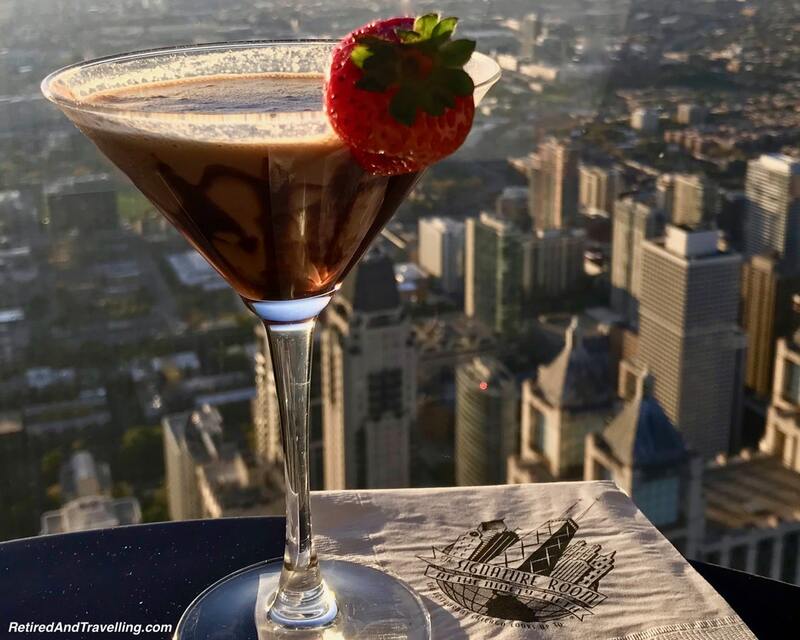 We went high in the John Hancock Tower for a panoramic view, walked the streets and did an architectural river cruise. 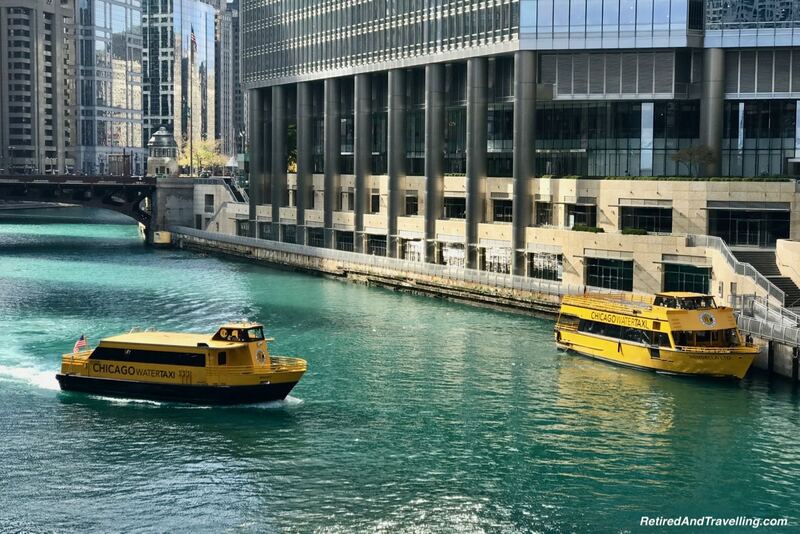 Water taxis are available along the river and lakefront if you want a different way to get around. We had so many suggestions for food in Chicago, we never made it through them all. But we ate well the entire trip. 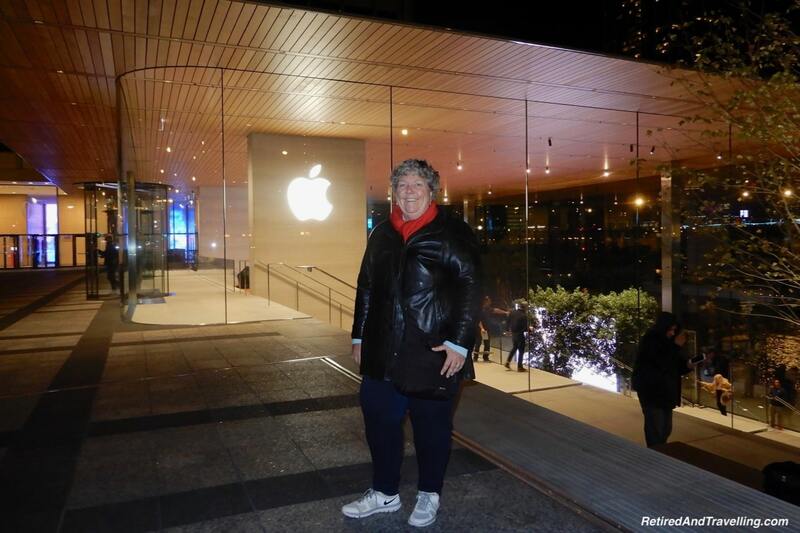 We were even in Chicago just after the new Apple “Space” opened on the river. It was a great open space for techie geeks like me to enjoy. 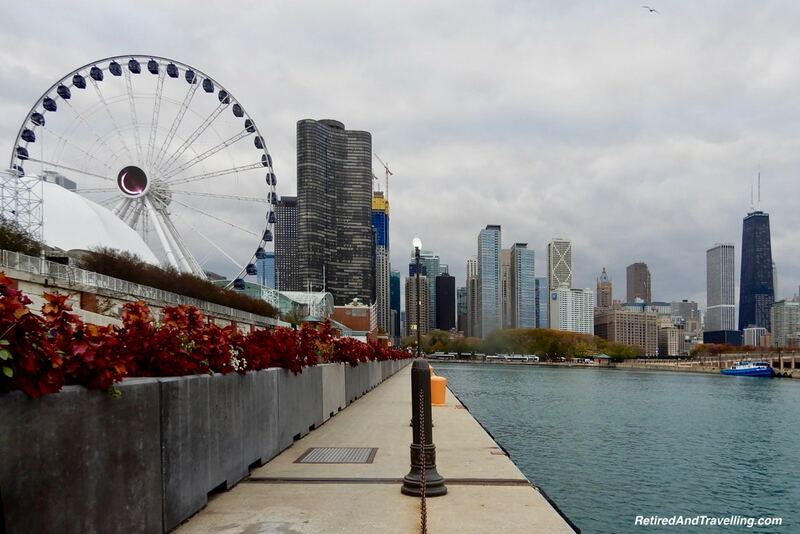 On our 3 days in Chicago, we visited many of the iconic Chicago sights. 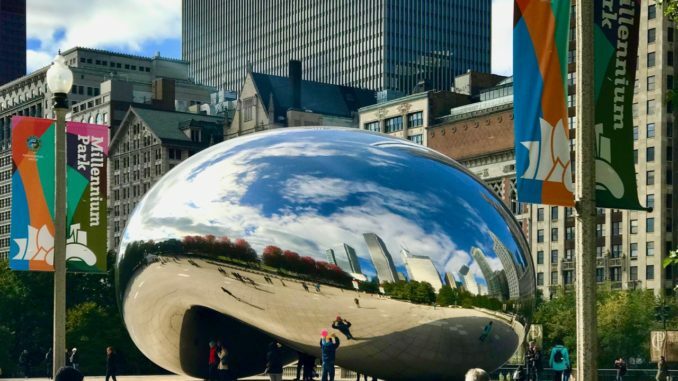 We made faces in the Chicago bean, walked around Navy Pier, stared up in amazement at the glass domes in the Chicago Cultural Centre and even had lunch at the Billy Goat Tavern. 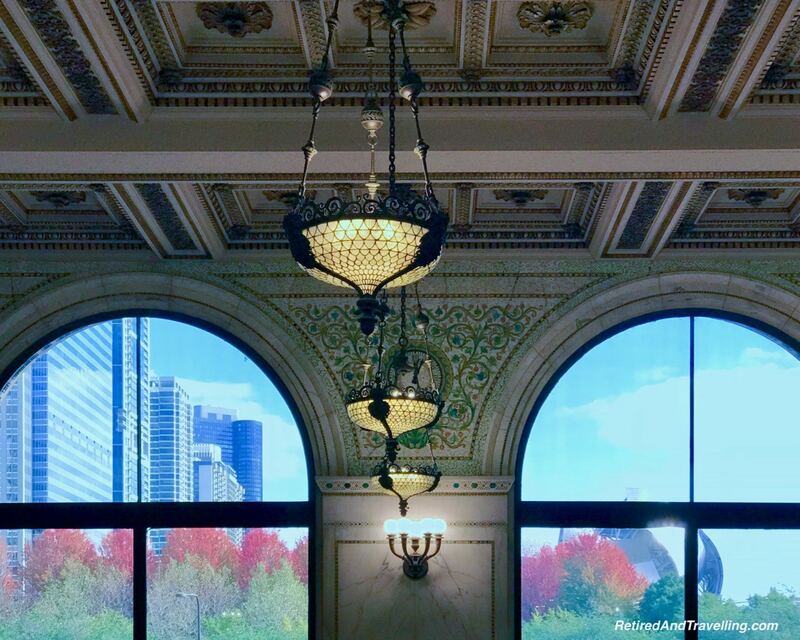 Everywhere we looked we were surrounded by the stunning eclectic architecture of Chicago. Chicago provided so much to see and do. It is great that Chicago is a reasonable road trip from Toronto. We will definitely be back! 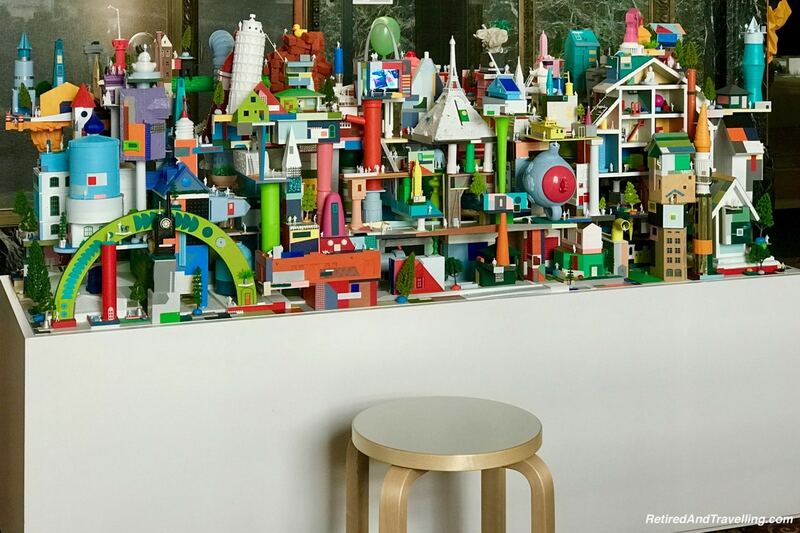 What would be on your plan for 3 days in Chicago? What would not be top of your list of things to see or do? So many chocolate treats:) Great night shots! 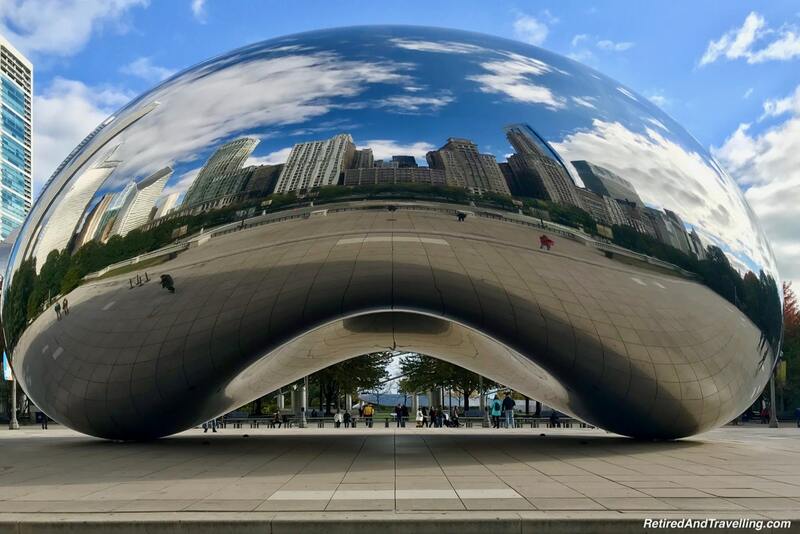 I haven’t seen the Bean and want to visit to do some street art seeking of course.